Japanese Film Festival 2018 Makassar is only a few days left! If you watch our films, you are also eligible to get our merchandise! 1. Show your ticket after watching the film to the JFF info desk at the same day as the movie. 2. You will get one stamp for each film. 3. Collect 4 stamps to get limited Japanese Film Festival 2018 tote bag. 4. 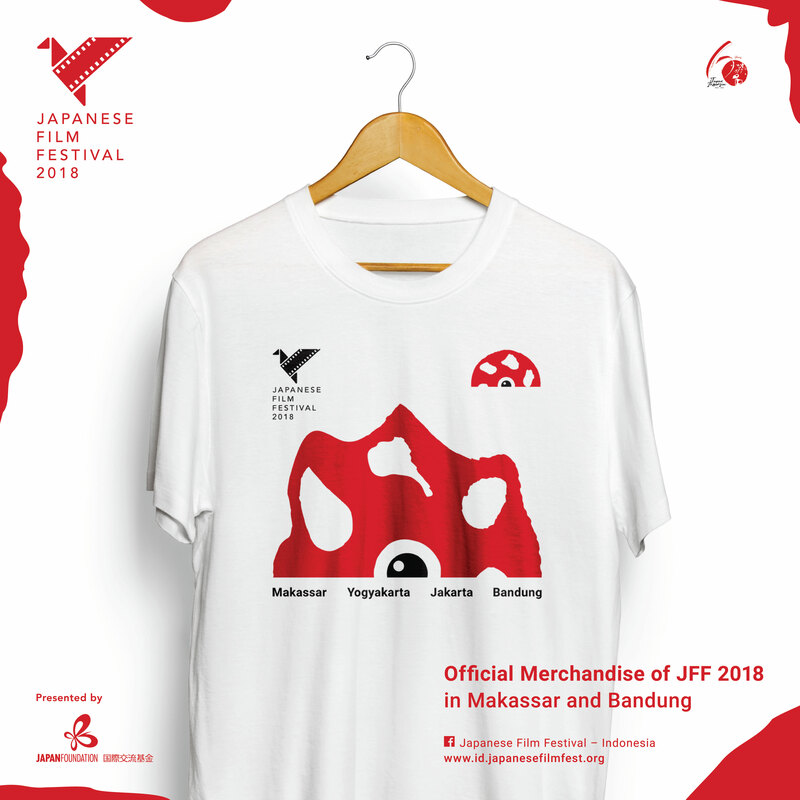 Collect 7 stamps to get limited Japanese Film Festival 2018 T-shirt. You can only get one stamp for tickets with the same schedule. 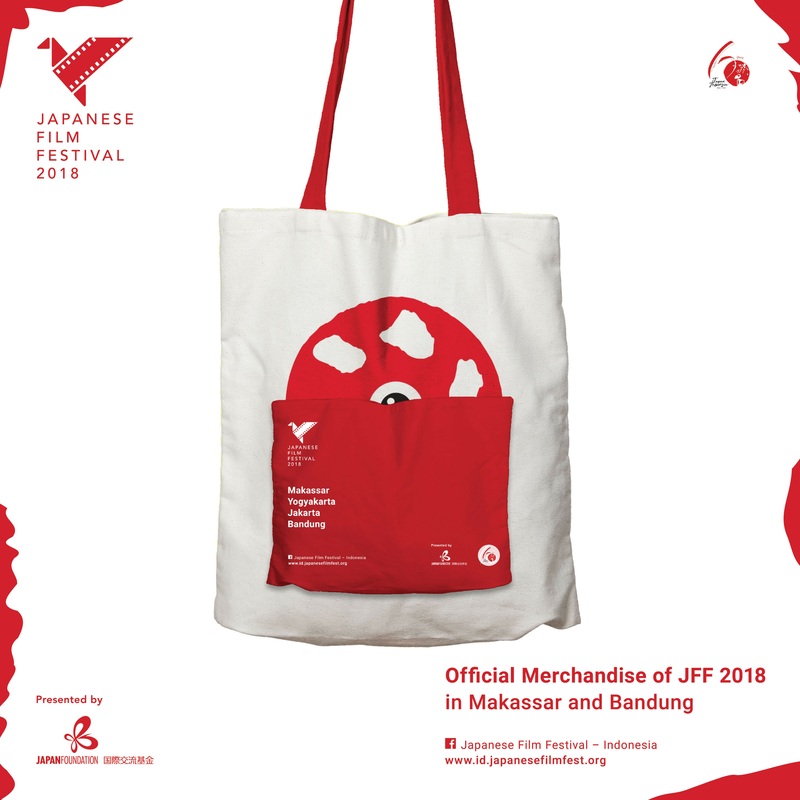 Let's watch and get Japanese Film Festival 2018 Merchandise!